All eyes are on the 23rd Olympic Winter Games and 12th Paralympic Winter Games in PyeongChang this February. Top athletes will carry their national flags in an opening ceremony which has come to epitomize the international community. Sports fans worldwide eagerly await the Olympics, and this time there is cause for cautious optimism that sports diplomacy may lower tensions on the Korean Peninsula itself. Leaders, diplomats, and citizens from the world over will witness North and South Korean athletes walking side by side. For this, there could be few better places than PyeongChang, which means peace (Pyeong) and prosperity (Chang): goals integral to the mission of the United Nations and the 2030 Sustainable Development Agenda. The Olympic and Paralympic Games attract people from around the world and help reinforce a set of unifying objectives. The goal of Olympism, as the Olympic Charter states, is “to place sport at the service of the harmonious development of humankind, with a view to promoting a peaceful society concerned with the preservation of human dignity”. Achieving sustainable peace and sustainable development are critical objectives and the Games in PyeongChang offer the promise of peace and prosperity. In this spirit, the first Olympics in South Korea held in 1988 served to foster relationships at a time of rapid geopolitical shifts. These games featured many participating nations, including sizeable delegations from both the USA and USSR. The thaw in relations to which the Olympics contributed led to the establishment of diplomatic relations with neighbors such as Russia and China in the years following the games. The Republic of Korea became a member of the United Nations in 1991. The Olympics also heralded the economic transformation of the South Korean economy that is now known as “the Miracle on the Han River.” For the decade after the games, its economy grew at an average rate of around 8.5% per year, transforming the country from an aid recipient country to a key aid donor. The material improvement in the lives of people in South Korea was nothing short of a miracle. From 1960 to 1995, GDP per capita increased more than one hundred-fold, virtually eliminating absolute poverty from more than half of the population to less than 5%. This miracle was linked with another key value of the Olympics and the United Nations - international collaboration. South Korea successfully leveraged international aid, international trade, and international investment with its domestic ingenuity, to show the world it is possible to transform in one generation an agrarian economy into a dynamic technological and cultural producer. Along with the rapid economic transformation, social and environmental concerns have also risen to the fore. In recent years, we have seen South Korea make commendable steps towards environmental sustainability and inclusive social policies such as the aged pension. Integrating the economic, social and environmental dimensions is the cornerstone of the Sustainable Development Goals. South Korea is once again demonstrating to the world a way to achieve a more inclusive and sustainable prosperity. South Korea now stands as a valued member of the international community, generating cultural phenomena appreciated by young people around the world, playing a leadership role at the UN, and as a significant contributor of aid to developing countries. Olympic sports can support cultural, political and economic diplomacy in its efforts to achieving and sustaining peace. The Olympic Truce Resolution adopted by the United Nations is an example of using a momentous occasion in international sports, to build a stronger foundation for a more peaceful and inclusive world. The resolution urges all countries to respect the truce by creating a peaceful environment during the Olympic and Paralympic Games and calls on all countries to work together, in good faith towards peace, human rights, and sustainable development. 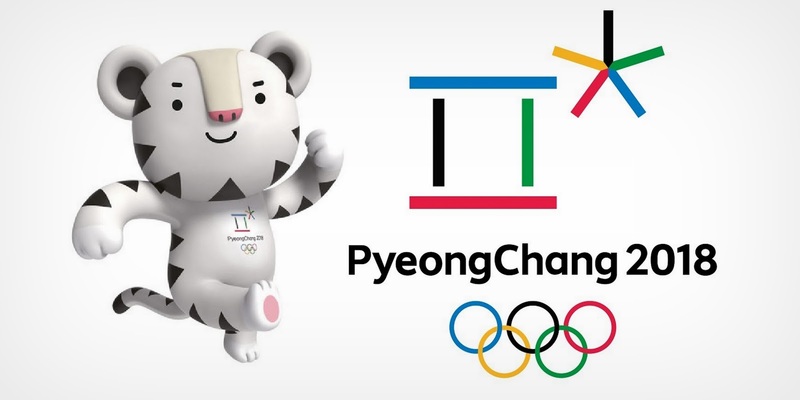 An opening of the direct dialogue between two countries of the Korean peninsula after the 2018 Olympics showcases a commitment to peace and prosperity. I wish South Korea a promising future and success in its endeavors to foster lasting peace and prosperity. Dr. Shamshad Akhtar is an Under-Secretary-General of the United Nations and the tenth Executive Secretary of the Economic and Social Commission for Asia and the Pacific. She currently serves as the Coordinator of the five United Nations Regional Commissions. Dr. Akhtar has previously served as Governor of the Central Bank of Pakistan. In her capacity as Governor, Ms. Akhtar was also the Chairperson of the Central Bank Board and its affiliates, as well as a Governor of the IMF.